LAKE HAVASU, ARIZ. >> A husband and wife from Monrovia drowned Friday while boating on Lake Havasu in Arizona, authorities said. Esmeralda Gonzalez, 41, and Raul Gonzalez, 44, died in the apparent accident, reported shortly before 3:30 p.m. near the Crazy Horse Docks, along the eastern shore of Lake Havasu, Mohave County sheriff’s officials said in a written statement. They were on board a boat with another man and two young children that was floating just west of the Crazy Horse Cove when the incident took place. Esmeralda Gonzalez jumped into the water to go for a swim, sheriff’s said. She was not wearing a life jacket. Off-duty Los Angeles County sheriff’s deputies who happened to be nearby pulled the unconscious woman from the water and onto their boat and performed CPR as they brought her to the Crazy Horse Docks, MCSO officials said. Paramedics pronounced her dead at the scene. Rescuers then learned a second person, Raul Gonzalez, was also missing from the boat and began searching the water where the boat had been. Autopsies are scheduled, and investigators were looking into whether alcohol played a role in the accident, officials said. The investigation was ongoing. The couple had been married six years and are survived by children including a 6-month-old daughter. The fund, at www.gofundme.com/RAUL-AND-ESMERALDAS-SERVICES, had raised more than $11,000 by Sunday morning. “Raul was a loving father who was a leukemia survivor who dedicated the rest of his life to helping the children at the Children Hospital in Los Angeles,” according to a statement on the memorial page. “Raul was loved by (everybody) around him and in the community and was known to always be there for (everybody) and would put everybody’s needs before his own. MONROVIA >> Police are seeking two women who they say sprayed a security guard with pepper spray in order to steal purses from a Monrovia discount department store late Friday. The robbery unfolded just after 8 p.m. at Marshall’s, 564 W. Huntington Drive, Monrovia police Lt. Rob Wilken said. A security guard noticed two women leaving the store with handbags they hadn’t paid for and confronted them about the theft, he said. One of the women pulled out a can of pepper spray and sprayed the security guard, according to the lieutenant. The women then fled, with the stolen purses, in a red Dodge Charger, he said. They were last seen headed west on Huntington Drive. A detailed description of the suspects was not available. The security guard was treated by paramedics for pepper spray exposure, but did not require to be taken to a hospital. A Covina man allegedly high on drugs led Monrovia police on a pursuit before driving home, barricaded himself inside, taking a shower, then surrendering to police in the buff on Saturday night, authorities said. The incident just after 8 p.m. when a witness flagged down a Monrovia police officer to report seeing a possible intoxicated driver, Monrovia police Sgt. Glen Coleman said. Officers soon found the car, driving on the wrong side of the road, and tried to pull it over, he said. The driver refused to yield, initiating a chase. The fleeing suspect drove through red lights and ultimately made his way into the eastbound 210 Freeway, according to the sergeant. He exited the freeway and drove to his home along Cloverland Drive, near Mesarica Road, in the unincorporated county area near Covina, officials said. The driver entered the home and refused officer’s orders to surrender, Coleman said. He took a shower, then surrendered to police about 45 minutes later, wearing only a towel. Brian Robert Borland, 28, who was suspected to be under the influence of an unknown drug, was booked on suspicion of DUI and evading police, Coleman said. Police in Sierra Madre had pulled Borland over a short time before the chase began in Monrovia, but he fled from officers and was not found, authorities said. 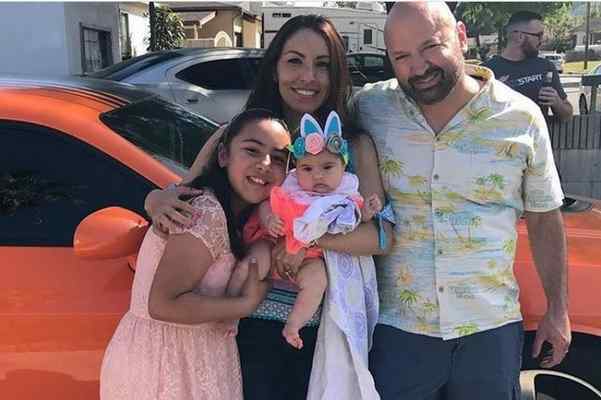 According to Los Angeles County booking records, Borland was being held in lieu of $155,000 bail pending his initial court appearance, scheduled Tuesday in the Pasadena branch of Los Angeles County Superior Court. 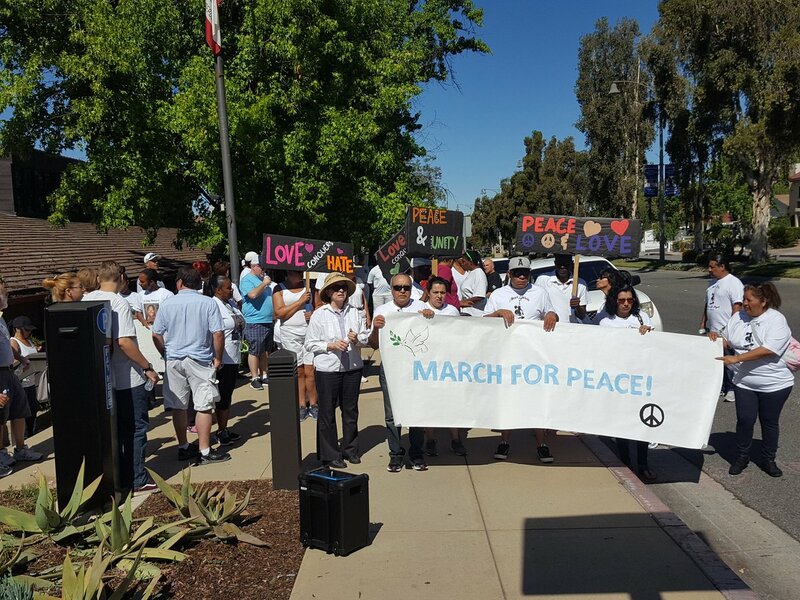 Dozens of community members, including several families who have lost loved ones to violence, marched through the streets of Duarte and Monrovia on Saturday to respond to recent shootings in the area with a message of peace. “I know it’s been difficult for you. It could have weeks ago, months ago, years ago, but you’re here today, and we are here to support you, and show love to your family and to honor the memory of the person that you lost and that you still love,” he said. The Monrovia-Duarte community has seen four people killed and four others wounded in a space of at least eight shootings reported since January. Among them was 39-year-old Kirinda Morehead of Duarte, who was shot to death on Feb. 18 as he arrived home with his fiancee and two young children in the 2300 block of Bashor Street. “As he got out of his truck, someone shot him 12 times,” said Diane Myrick, the mother of Morehead’s fiancee. Though the couple was not yet married, she said she already thought of Morehead as her son-in-law. “He was a hard-working, loving, family-loving, Christian man who did not deserve to be gunned down in the street like that in front of his children and his fiancee,” she said. “All we can do now is just hope and pray that the person who perpetrated this act this act upon this family (is caught),” Myrick said. The family of 18-year-old Oscar Garcia, who was shot to death in his hometown of Monrovia on April 22, carried pictures of the slain Canyon Oaks High School as they marched. Garcia was visiting with friends in a residential garage in the 100 block of West Cypress Street while visiting friends when an attacker opened fire on the group of teens. Garcia was mortally wounded and another teenage boy was seriously injured in the shooting, but survived. Investigators suspect the shooter was looking someone else when he encountered and shot the teens. Garcia was an avid skateboarder who loved spending time at the Monrovia Skate Park, family members said. To honor Garcia’s memory, loved ones have begun circulating a petition to formally rename the park after him. The petition is available online at www.change.org/p/the-community-of-monrovia-naming-the-skatepark-after-oscar-garcia. The family of 18-year-old Malcolm Mency of Duarte also added their voices to the march. Mency, who had just become a father, was shot to death at Broderick and Felberg avenues, in an unincorporated county area between Duarte and Monrovia, as he walked home from work on Dec. 22. “I have in my heart a long list of families impacted that have not made the headlines,” said CMT Co-Chair and former Duarte Mayor Lois Gaston, who hosted the event. Representatives from numerous local churches, organizations and government agencies took part in the assembly. Capt. David Flores of the Los Angeles County sheriff’s Temple Station, which patrols Duarte and nearby unincorporated county areas, said he was glad to see the strong show of community involvement. “My heart goes out to all of you who have lost someone or know someone who was lost,” he said. MONROVIA >> Determined homicide investigators and devastated family members reached out to the public on Thursday to help find the gunman who killed one teenager and wounded another in an attack inside a Monrovia garage last month. Eighteen-year-old Canyon Oaks High School senior Oscar Andrew Garcia died in the late-night shooting on April 22 in the detached garage of a back house in the 100 block of West Cypress Street, just west of Myrtle Avenue, Los Angeles County sheriff’s and coroner’s officials said. A 17-year-old boy was wounded in the shooting, and a teenage girl escaped injury. Garcia and the other shooting victim did not live at the home, but were visiting the girl when the shooting took place, officials said. Detectives declined to discuss what words were spoken in the moments before the shooting. Paramedics pronounced Garcia dead at the scene. “His male friend was struck by gunfire but miraculously survived his injuries,” Mendoza said. Following the shooting, the gunman fled through an alley running behind the property, according to officials. In hopes of generating leads in the investigation, authorities released a composite sketch of the suspect. The killer is described as a Latino man between 20 and 25 years old, about 6 feet tall, of medium build, Mendoza said. He had a light complexion, brown eyes, short black hair and a goatee, and he wore a black baseball cap with an unknown logo emblazoned on it. The motive in the shooting remained a mystery, and detectives knew of no reason anyone would target Garcia or his friends, Mendoza said. While it appeared the garage in which the victims were hanging out was targeted by the shooter, “We don’t believe the victims were the targets of the assault,” Mendoza said. Investigators had not ruled out the possibility of mistaken identity. Garcia was scheduled to graduate high school in June, Mendoza said. He then planned to study photography at Pasadena City College. The young man was a lifelong Monrovia resident. “He enjoyed skateboarding, taking photos, attending church with family and he played soccer for his high school team,” the lieutenant said. Garcia was often seen holding up two fingers in a “peace” sign, his mother, Guadalupe Castaneda said. Castaneda and Mendoza both implored anyone with information on the case, or anyone who recognized the composite sketch of the suspect, to come forward. In addition to his mother, Garcia is survived by five siblings, nieces and a nephew. Donations to benefit Garcia’s family are being collected online at www.gofundme.com/oscar-garcia-funeral-memorial. Anyone with information is urged to contact the sheriff’s Homicide Bureau at 323-890-5500. Tips may also be submitted anonymously online to L.A. Regional Crime Stoppers at 800-222-8477. DUARTE >> A man suffered a leg wound in a shooting in an unincorporated county area between Duarte and Monrovia on Wednesday afternoon, authorities said. The shooting too place about 5 p.m. in the 2400 block of Lincoln Avenue, Los Angeles County sheriff’s Sgt. Tom Harris said. Deputies responding to the incident encountered a man in his early-20s who had been shot in the lower calf with a large-caliber pistol bullet, the sergeant said. He was taken to a hospital for treatment. The shooter fled the scene in a red sedan, the sergeant said. A detailed description of the attacker was not available. 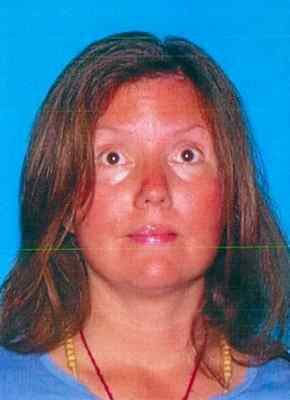 Anyone with information can reach the sheriff’s Temple City Station at 626-285-7171. Tips may also be submitted anonymously to L.A. Regional Crime Stoppers at 800-222-8477.